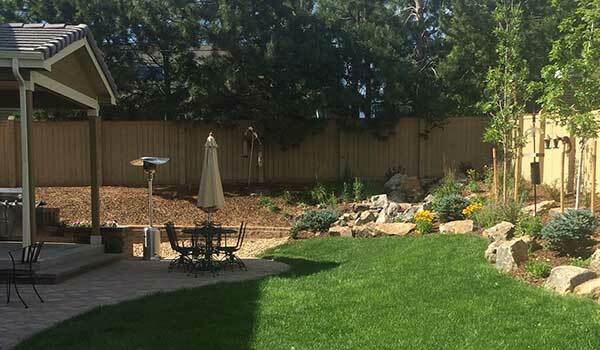 At Water Solutions Company, we are committed to providing the best sprinkler installation and sprinkler maintenance services in the Denver Metro Area. If you are in need of a sprinkler installation in the area, you will be hard-pressed to find a better service than ours. With the experience of a Colorado master plumber, there’s no need to have your sprinkler installation done by someone with little to no skill. Water Solutions provides knowledgeable service you can count on. It doesn’t matter how big your yard is, sprinkler installation can be complicated. Luckily for you, Water Solutions Company has over two decades of experience installing sprinkler system in the Littleton, Aurora, Highlands Ranch, and Denver Metro Areas. We know what it takes to install and maintain a sprinkler system in this region and we will give you the best service you can find. We know what it takes when it comes to burying pipes without damaging your lawn and connecting the system to the main water line inside the home so you get the best water output possible, or ensuring that the system is free of leaks to avoid you the cost of repairs in the future. A full evaluation of your yard– Installing a sprinkler system is far more than just placing pipes in the ground. We make sure we get a full evaluation of your property so we know where to avoid any potentially problematic features, inclines that require additional pumps, or anything that may need special equipment. We give each yard the unique service and sprinkler system it needs. We listen to your preferences— When a sprinkler installation company has been in the business as long as we have, it’s only natural to have a preference for hardware, materials, and procedure that we like to utilize in our sprinkler installation process. We also realize that you may have a different preference for the types of sprinkler hardware you would like us to use or a certain way you would like your sprinkler installation to be done. We make sure to put your needs first so that you get a quality sprinkler installation and you are happy with every aspect of it. Making sure you sprinkler system is in it for the long run– We can provide you with an excellent sprinkler installation experience, but we also know that, if you can help it, you do not want to have to deal with a sprinkler installation or sprinkler repairs again. When we install your sprinkler system, we also look out for your future needs, offering advice on routine maintenance and repair options you can utilize to keep your sprinkler system running optimally for many years. Give us a call today for sprinkler installation and other sprinkler and landscaping services in the Denver Metro areas. Ask us about our trench-less sprinkler installation!